Canadian airline Sunwing will add a new non-stop route from Quebec to Puerto Vallarta for the upcoming winter season for the very first time. The service will operate on Mondays, running from December 17 to April 15, 2019. With this direct flight, Quebecers will be able to enjoy the beautiful Puerto Vallarta and Riviera Nayarit area, its wonderful nature and tourist attractions. Sunwing also offers travelers a wide variety of vacation packages at several resorts in Puerto Vallarta, such as Iberostar Playa Mita, Riu Hotel and Grand Palladium Vallarta Resort and Spa. 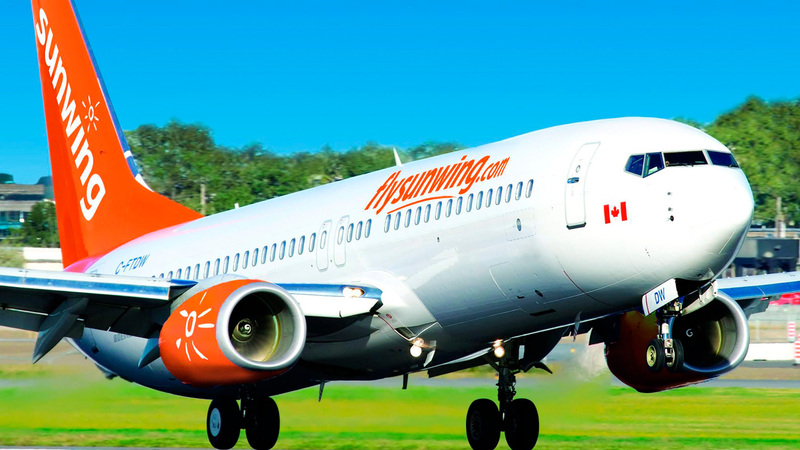 “With the announcement of this new flight from Quebec to Puerto Vallarta, Sunwing is further diversifying its flight offering from Quebec City’s Jean Lesage International Airport (YQB) with an exciting option for passengers in the Greater Québec City area. Sunwing’s interest in YQB, year after year, reflects the quality of the services we offer and the ever-growing potential of YQB following the opening of the new international terminal,” said Mathieu Claise, Director, Government and Public Affairs of YQB. Sunwing is one of the biggest travel companies in North America. It operates from over 33 airports across Canada with over 45 popular sun destinations (including destinations in Mexico, the Caribbean and Central America. For more information about this new flight or the company, visit www.sunwing.ca. The ballet piece is directed by Valentin Elizariev and features original music by Tchaikovsky.